At night, everything can look quite magical, it's the perfect time to explore street photography. Night photos can look a little more romantic with starbursts of light and dramatic shadows. I could spend all night just shooting street scenes! There's no rush and worries about losing light, and the pace is a little different than shooting during the day. 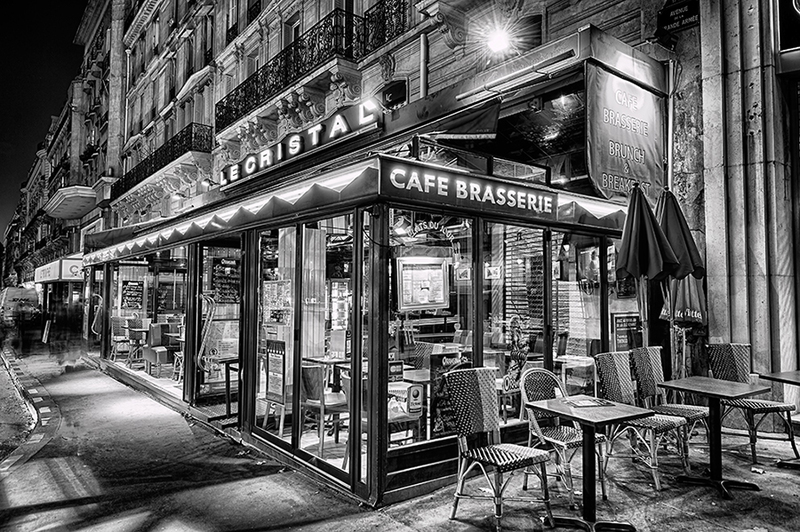 My inspiration come from my black and white printing days, and Hungarian photographer Brassai's beautiful Paris by night photos.